2016 is almost gone and it is beautiful! We're now open to new life, new ideas and best things in our lives! This month we release new four digis which are very fun to use on your projects! Hello there! 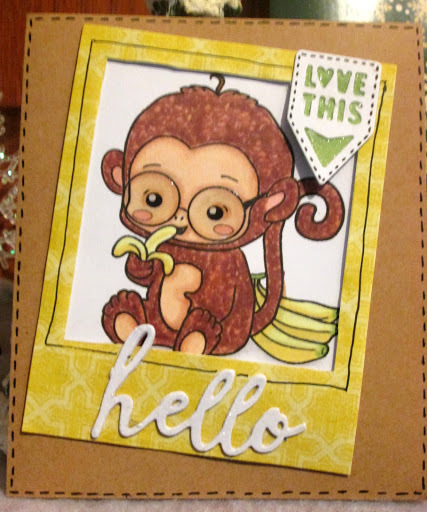 This is another Crafty Monday in the blog! We wish you all the best things! Be healthy, wealthy and wise! 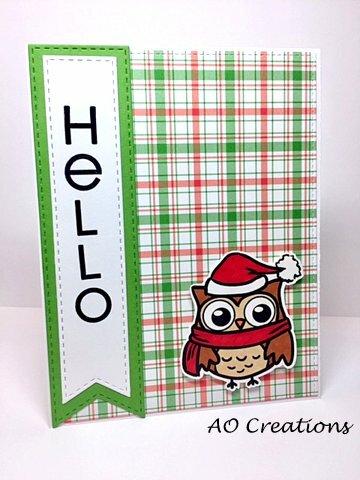 Today our guest designer of the month Holley will share her holiday card with you! Color the image with Copic markers and die cut it with Spellbinders Nestabilities. I matched a printed paper with the colors of the Eris stamp to a square card from DCWV to make a lovely color combination. I tore an edge across the printed paper to give a white edge. I used glue dots to adhere three matching blue buttons. 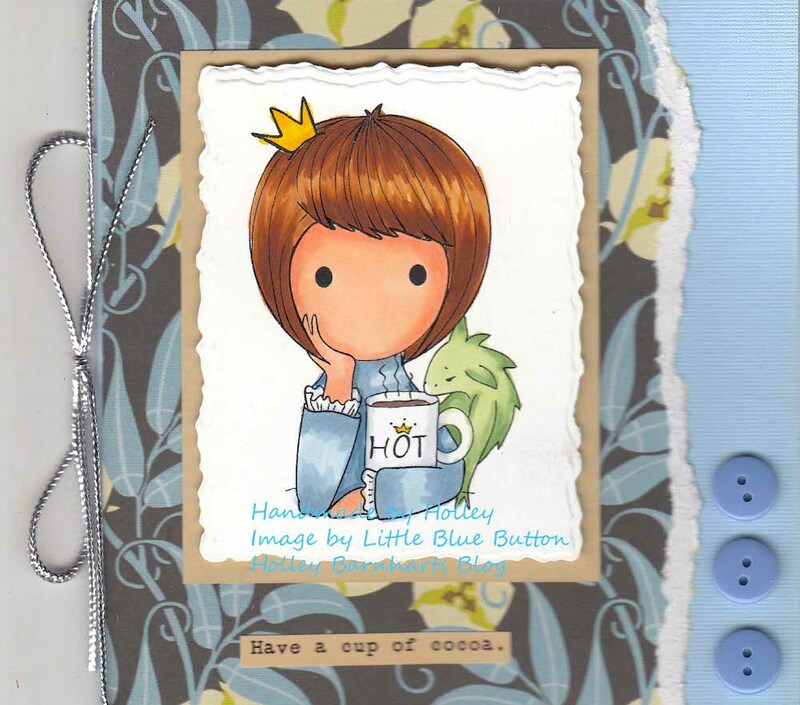 I added the cutest Hot chocolate sentiment from Cosmo Cricket. My finishing touch was a lovely silver bow. 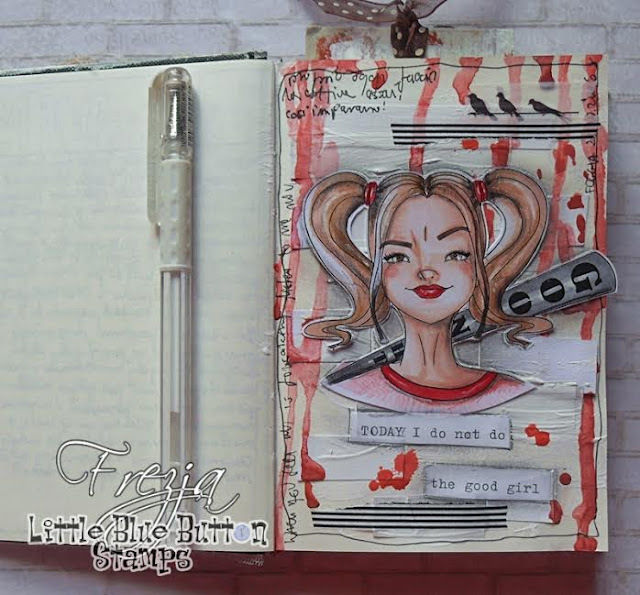 It is another Creative Wednesday in the blog! 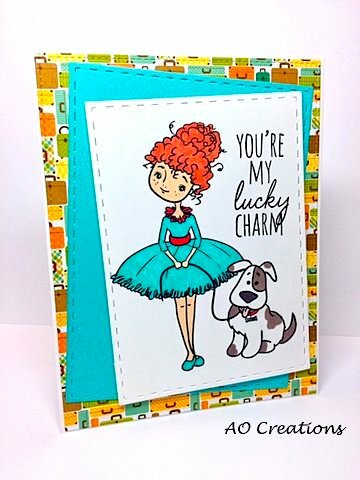 which is perfect for fun cards and projects! Hey there! 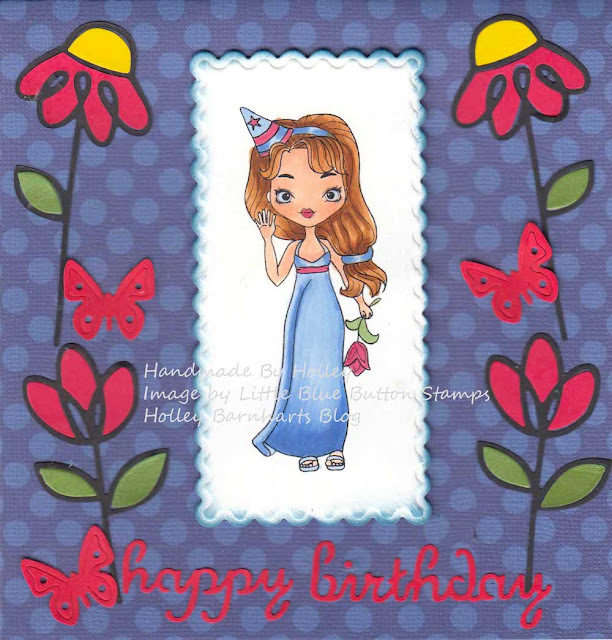 So it is time to announce winners of Warm Birthday Wishes blog hop! Yey! Congrats ladies! 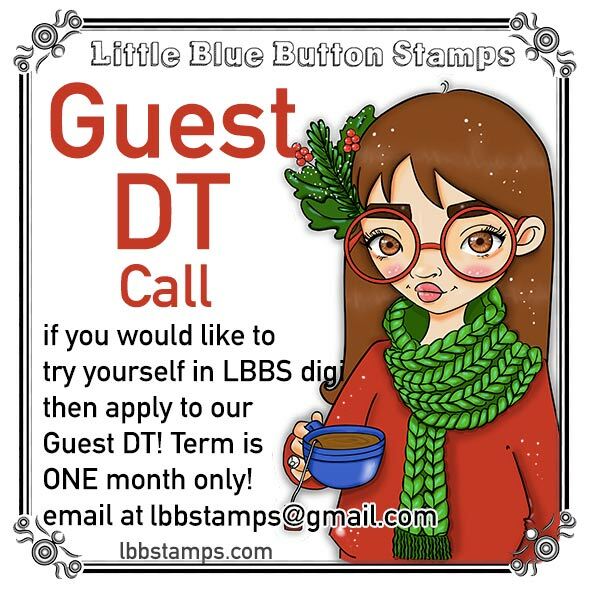 Please email me to lbbstamps@gmail.com to claim your prizes! Hello guys and welcome to our Guest Designer corner! 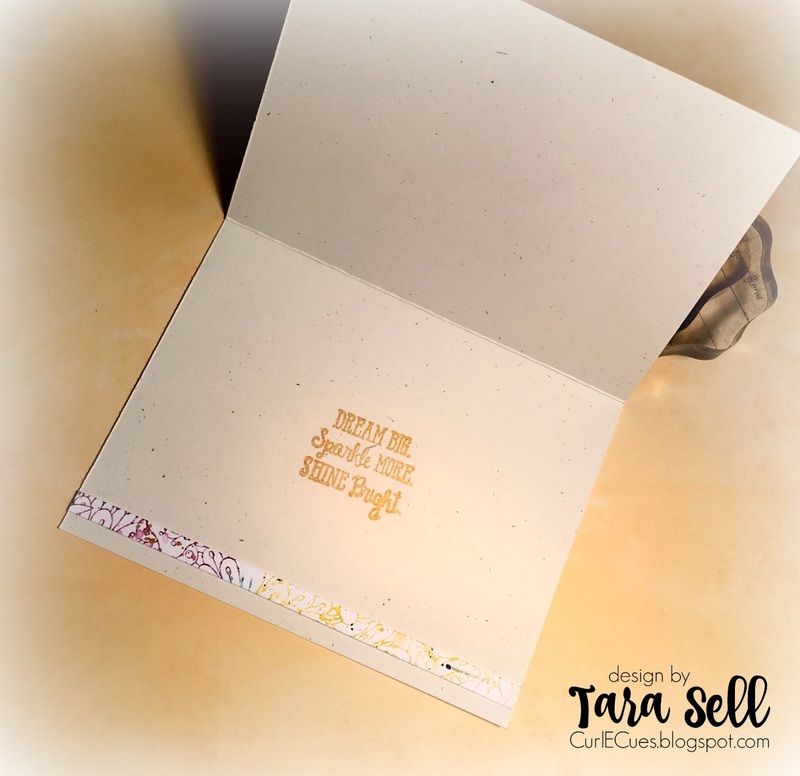 I have been crafting all my life, but starting stamping back in 99 when I came across this adorable little scrapbook store and I bought my first brass stencil that I used to emboss my husband a card. I was hooked on cardmaking from that day on! I have been published in many magazines and I just love coloring with Copic markers. 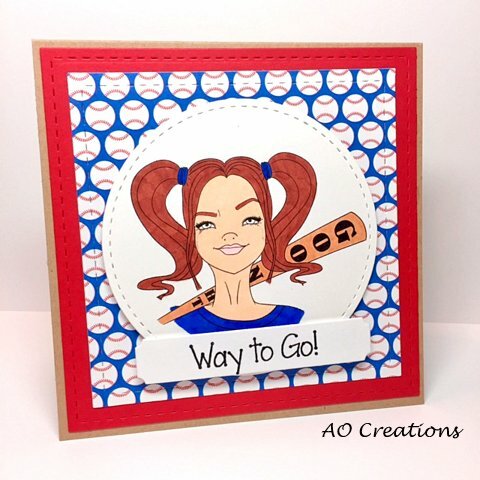 I started up my blog in the Summer of 2009 and this is what I said, "Here's my rubber stamping blog to share my creations. My goal is make everyone's day a little brighter by sharing one crafty project every day. Cheers Holley." That couldn't be more true to this day. 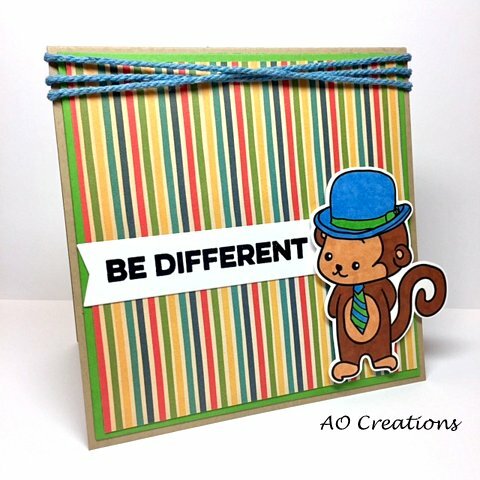 Everyday I share one creation in hopes of inspiring other crafters and showing how much I enjoy my hobby. diecut: Paper Smooches Dainty Flower Wise Dies; The happy birthday and tiny butterfly die came as a freebie with a magazine purchase from Papercraft. Hello, friends! 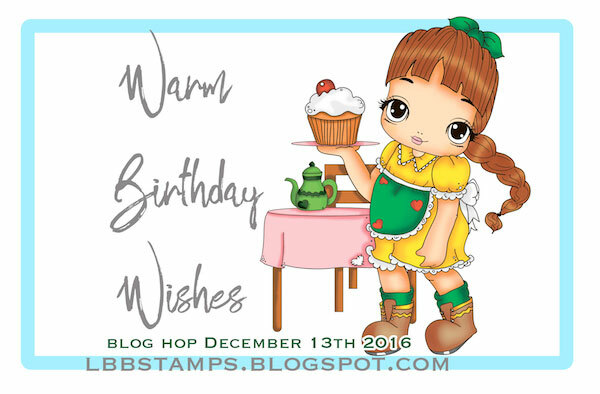 You are welcome to our fun Warm Birthday Wishes blog hop! Today I celebrate my birthday and this is the reason to share some gifts with you all! Our awesome design team prepared some amazing projects for your inspiration! 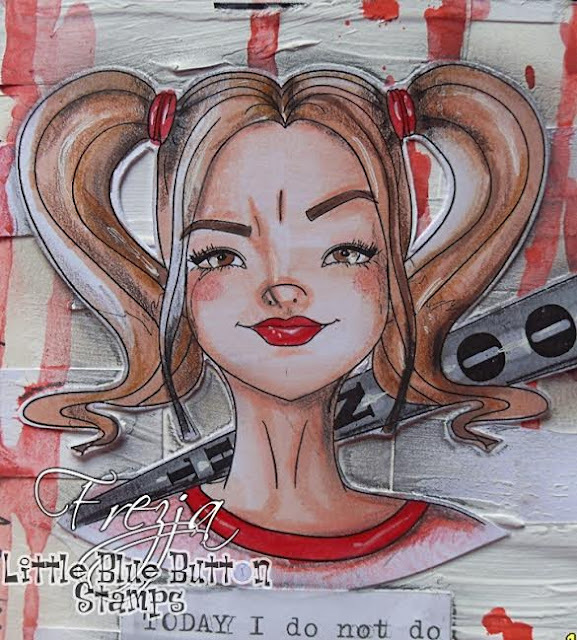 Please visit each blog listed down below, leave a comment there and come back here to leave your last summary comment under this post - I will include all of you who left a comment here to the list and then pick FOUR winners! Come back tomorrow, December 14th to find out if you're one of the winners! Also please do not forget that I share three coupon codes with you all. They are valid thru December 31st 2016. These coupons may be used individually, they are not applicable to another coupons or to each other, or to sale products. Hey there!=) How are you? Is it snowing in your town? Are you ready for Christmas? The first person who will leave a comment with word "lucky" will get this digi for free! December 2016 New Release and Birthday month announcement! These are digis which we release for December 2016. This new release is not usual! This time I prepared something special for you! Since December is my Birthday Month (first time I saw this crazy world on December 13th), I decided to celebrate it with my friends and supporters, who constantly help and inspire me to create new digi products! + The whole month of December, starting from December 1st I will be listing four digis per week for a big % sale! + Also each of our DT members will share their discount codes with you on their DT day in the blog and on Facebook and Instagram! + Then we prepared a hidden giveaways in our posts! + And last but not least we'll make a birthday themed blog hop on December 13th with great prizes! Use coupon release40 to get 40% off for your entire order! Only this Friday! 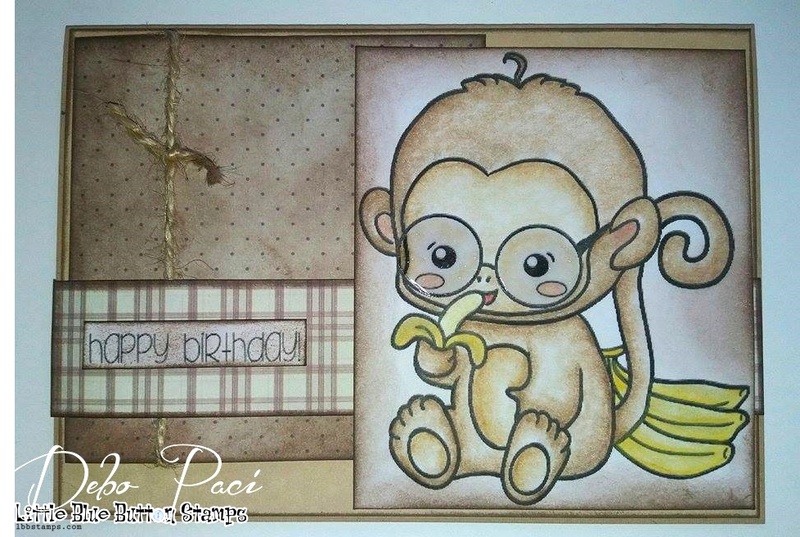 We're here to share with you the second project from our Guest Designer of the month Michelle! This time she chose our old stamp line Jessica. Please feel free to visit Michelle's blog to see more of her beautiful creations! Hello. 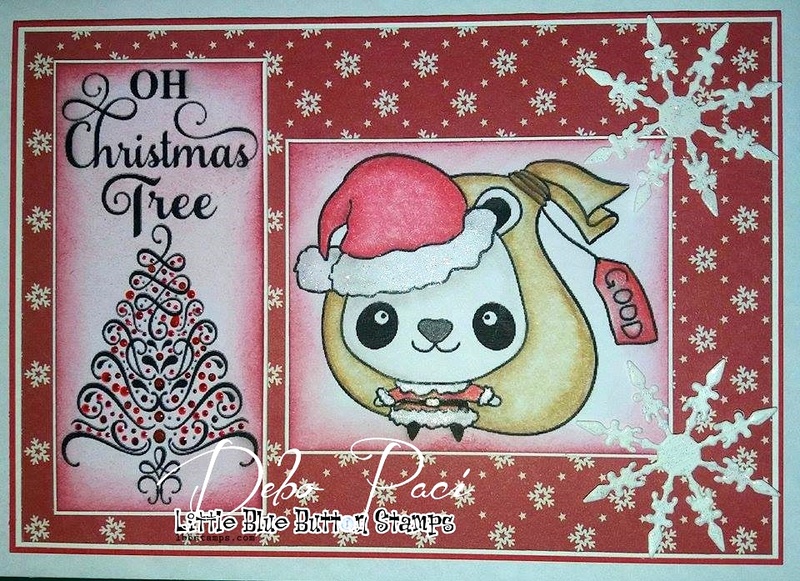 It's Michelle from Laughing Ducks blog here, back to share my second card with you. This beauty is called Walking Jessica and you can find her at the Little Blue Button Stamps store. you all using Olga's beautiful Digi Stamps. Hey there! Christmas is coming! Well, it is fall but Christmas is around the corner and we can smell it in the air! You can make a wonderful stickers for your gift wrapping using this set (in case if you have printer and sticker paper )! Hello! 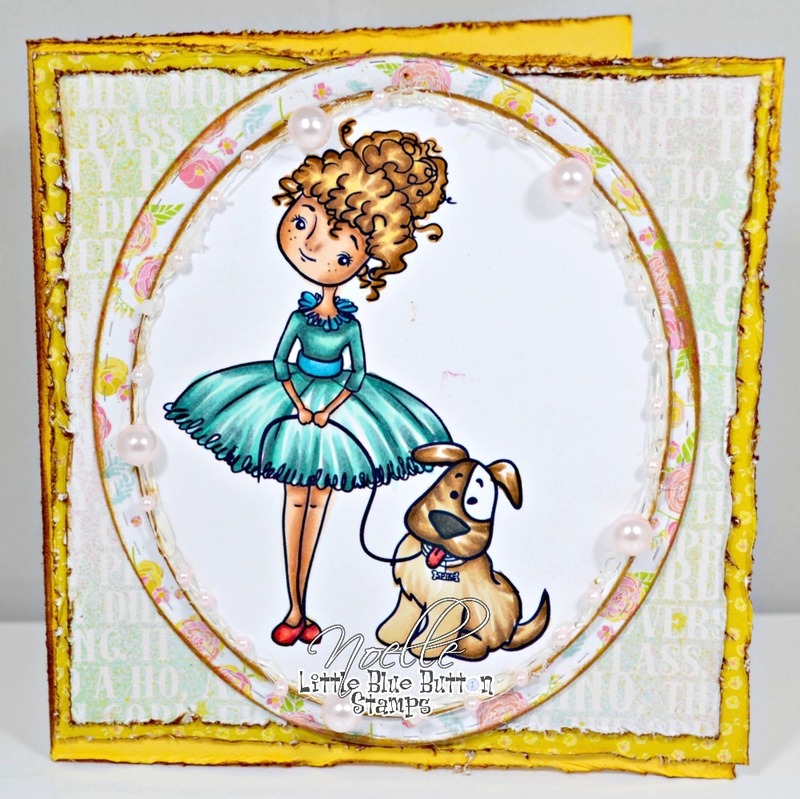 Today we have a special guest on our blog - guest designer Michelle and her beautiful handmade cards! 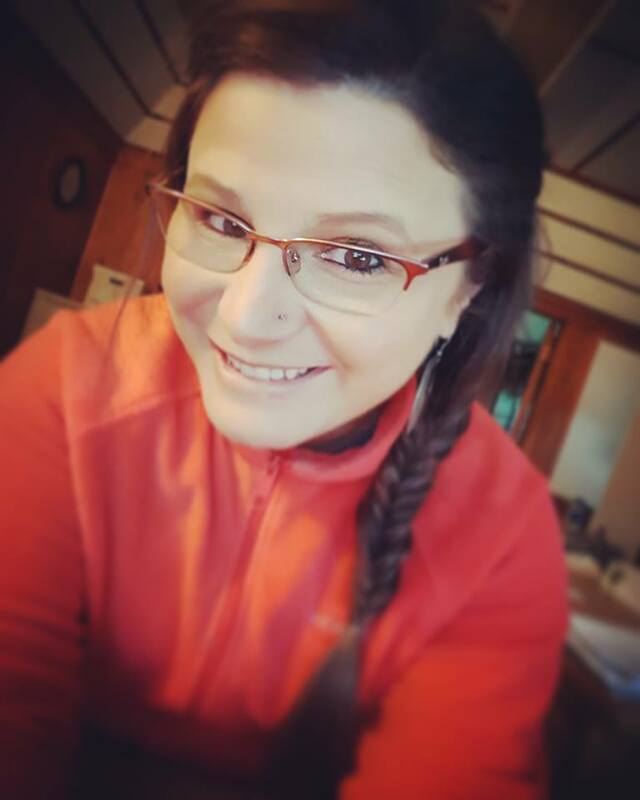 My name is Michelle Lancaster and my blog is Laughing Ducks. 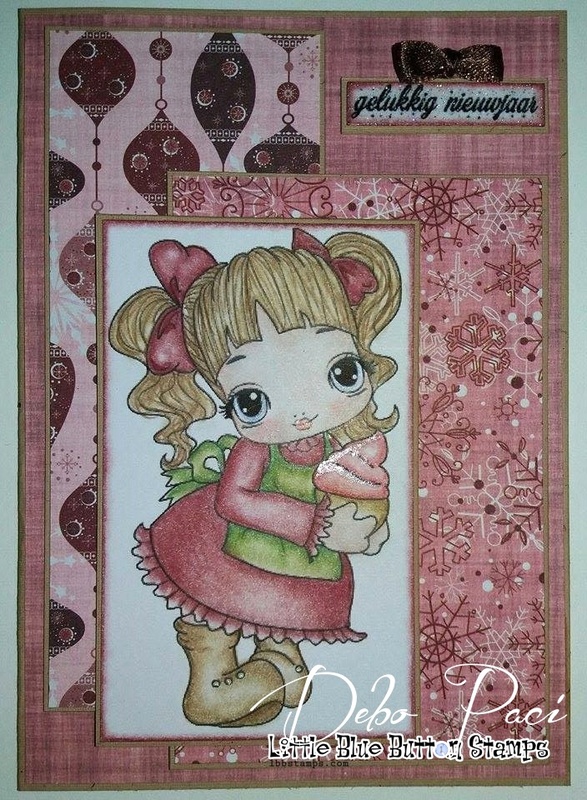 I made this card with Olga's gorgeous digi stamp called Mix Media Holiday Girl. I have coloured her in with ProMarkers and the card base is a Crealies die (No. 6). The flowers and leaves are a die set from Crafter's Companion. Christmas is coming! Christmas is coming! I can repeat this for hundred times! I love snow, I love decorated trees, I love warm dinners with my family! Well, most of all I love Christmas in Europe and USA (I've never been there, but hey, I saw in the Internet) - decorated houses, streets, shops. All these sweaters, family Christmas pictures, fun with buying and wrapping presents! YEY! Hey there! 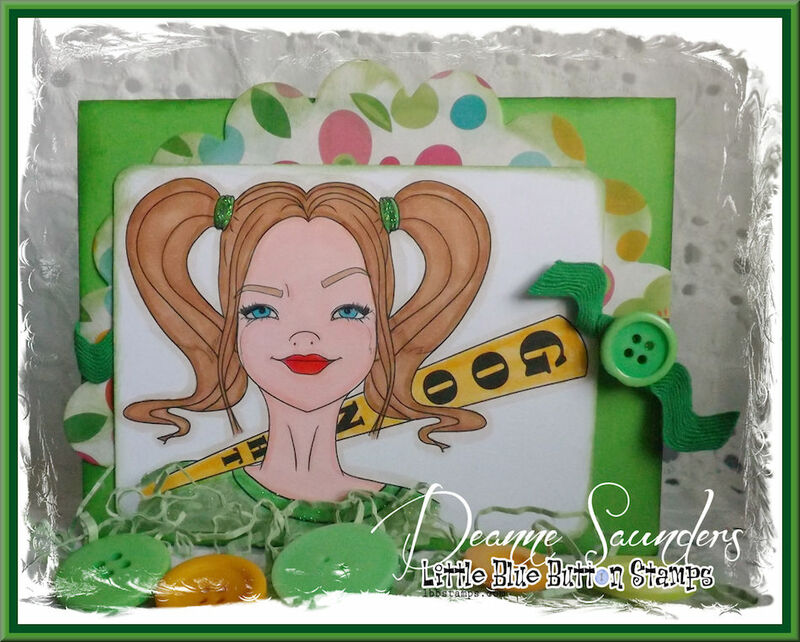 Today we play along with this year favorite character - Harley! So I decided to showcase my vision of her! 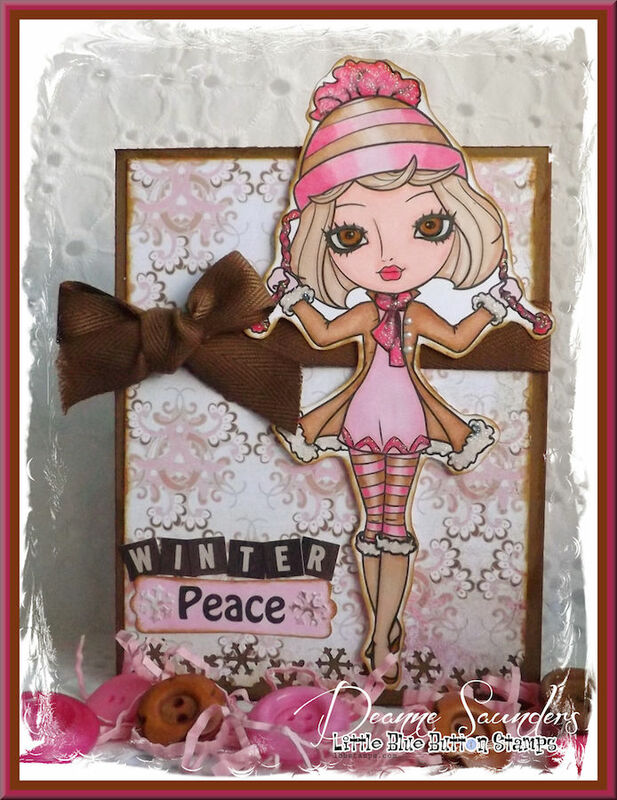 This image isn't era;;y for cards, but anyways it looks so fun for mixed media and this fun sassy types of cards! These are digis which we release for November 2016. Good morning, guys! This Monday is going to be a easy and fun for you all: we share our inspiration today! 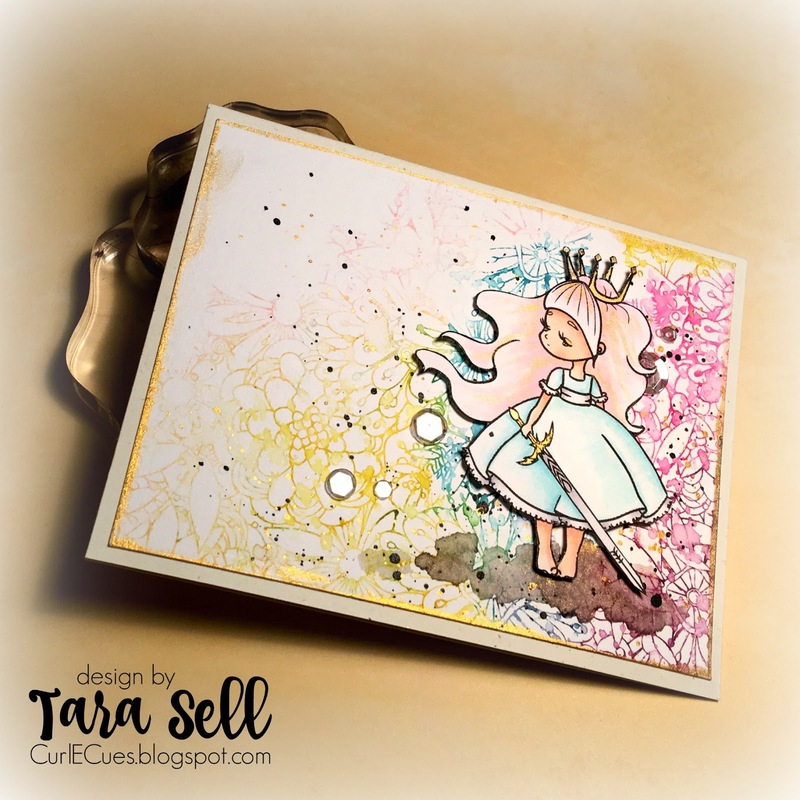 It is the second post of our fabulous Guest Designer Tara. You can visit Tara's previous project here. Happy Friday, dear friends! I hope you have had an amazing week! I am super excited to kick off the weekend with my second guest project for Little Blue Button Stamps. This Warrior Princess digi stole my heart from the moment I laid on eyes on her! To me, this lovely little princess looks very whimsical and dreamy. I wanted to create a dream world for her on my card. To do that, I started by coloring her in very light, subtle colors using my Copic markers. I felt like this added to her ethereal feel. Her abstract dream world was created by applying Distress Inks directly to a floral background stamp and then spritzing it with a little water. I stamped it onto some watercolor card stock and then did a little more spitting to spread the colors around a bit. I used my heat tool to try it and then splattered some black Distress Paint over the background. I really wanted some gold for her crown and the hilt of her sword. 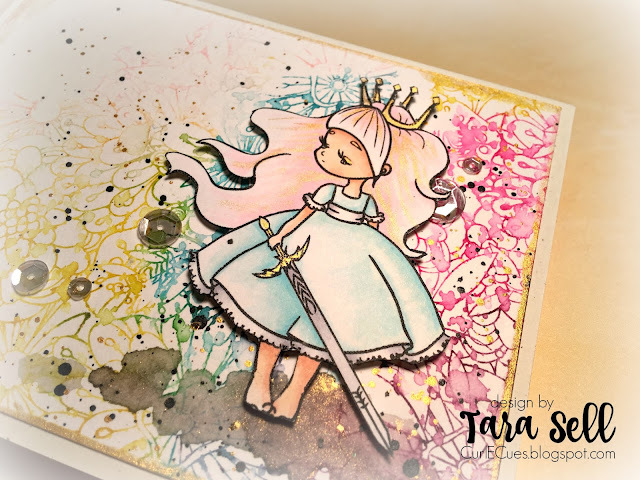 To create the perfect shimmery gold I mixed some Gold Perfect Pearls with a little water and used a paintbrush to splatter some gold onto the background and color in her crown and sword hilt. I couldn't resist adding some to her hair, too! 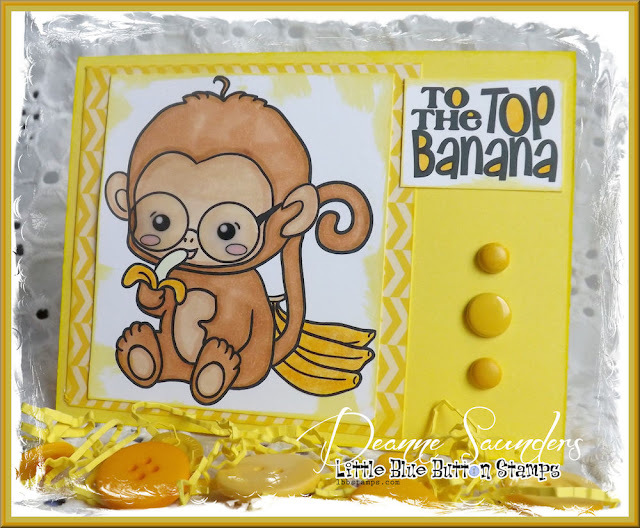 A little gold on the edges and a gold sentiment on the inside finished this card up! 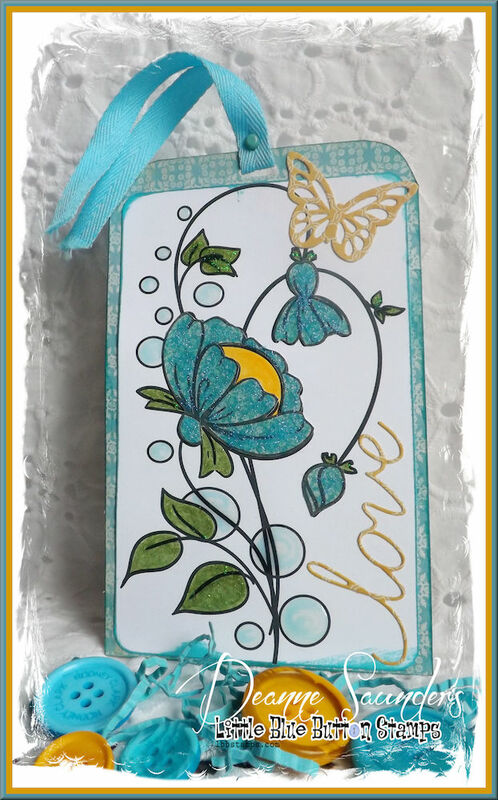 I hope you enjoyed the projects I shared for the amazing Little Blue Button Stamps! Be sure to go get yourself a digi or two - I promise you won't regret it! Thanks so much for stopping by! See you again soon! Bye! Hello everyone! This month we decided to come back to guest DT spots. From now we will be having guest designers sharing their projects from time to time! Happy Sunday to you all! Today I am so excited to be sharing Day 2 of my Handmade Halloween video series for 2016 and I have the honor of being a guest designer for the fabulous Little Blue Button Stamps! 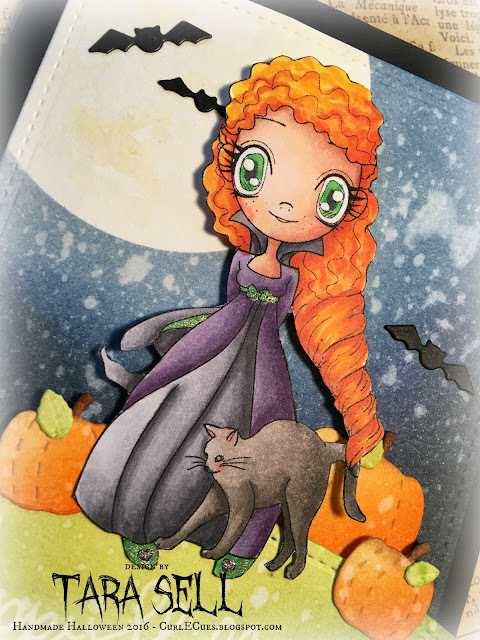 I just adore the digital images available from this company and had the best time Copic coloring this sweet Witch Button! I think this is my favorite card I've made in a long time. I just loved everything about creating it! I printed my Little Witch image on some Neenah 110 lb card stock. One of the great things about digital stamps is the ability to size them to fit the needs of your project. I wanted my image to be the focal point of my card so I printer her out a little larger but you could absolutely do a smaller image if you wanted to! I decided to step outside of my comfort zone and attempt to create shadows in this scene to indicate that the moon is glowing from the upper left corner of the card. I have never really tried to be specific about my light source before and I loved the challenge of trying to color this way! Her curly hair was also really fun to color and pushed me to try something I'd never done before! 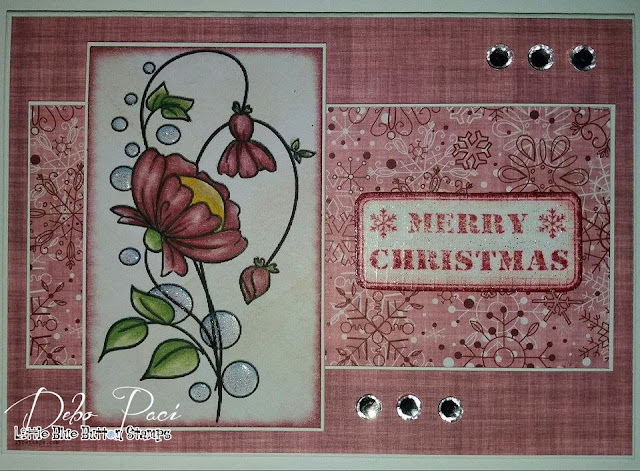 My background scene is created using Distress Inks and a few dies from my collection. At heart, I am a scene builder! 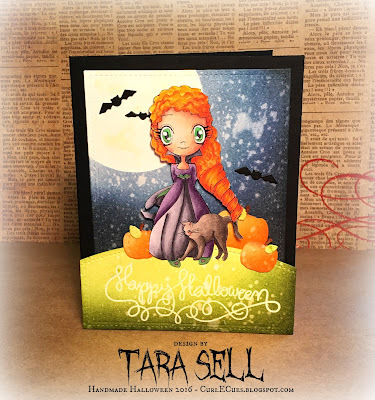 This type of card is my favorite and it was such a blast to put this together! Thank you very much for visiting our blog today! Good luck!